From time to time, we all feel pulled in different directions, with work deadlines, family commitments and other life events all demanding our focus and attention. Over the course of our careers, there will be times when we’re feeling tired, stretched or stressed and we may even feel on the verge of burnout. How do we care for ourselves so that we can continue to perform well during times of stress and strain? Recently, IABC/BC welcomed certified professional coach Tammy Dewar for an intimate discussion about navigating life and work during challenging times. 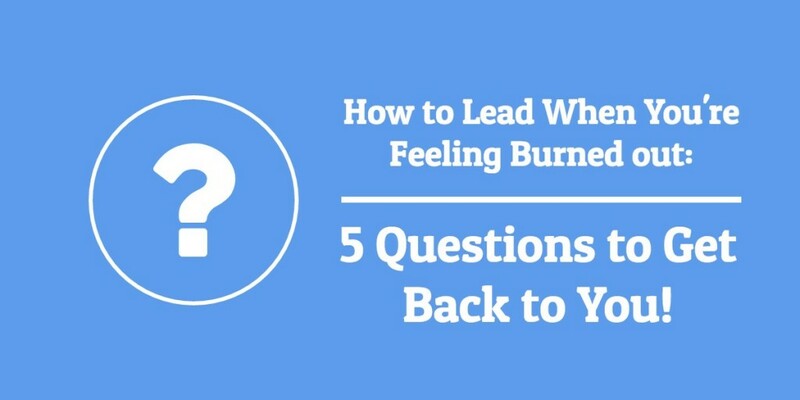 In her talk, Tammy presented five questions to ask yourself when facing challenging situations and burnout, emphasizing the importance of connecting with yourself, what you enjoy and what gives you meaning. 1) Who are you anyway? When you’re burnt out, it’s often because something in your life is making you feel drained. Perhaps you aren’t feeling connected with what you’re doing. Reflecting on who you are, what makes you happy and what gives you meaning, helps you understand what is and isn’t working in your life so you can make more time for the stuff that energizes you, which will help you combat burnout. 2) What story are you telling yourself? Sometimes the way you frame a challenging situation has an impact on how you feel about it. It’s not the challenges you have in your life that control you, it’s how you react to those challenges. Examine the story you’re telling yourself about the challenge you’re facing. Is there a way to reframe it to get something positive out of it? 3) Who’s in your circle? Often when people are feeling burnt out, they isolate themselves; it’s easy to hide out and watch Netflix. However, it’s during those tough times that you need your support system. Be protective of your time; spend it with people who energize you, and try to limit interactions with people who leave you feeling drained. Boundaries are important, but so are social connections and spending time with friends, so make time for them. 4 How do you make time to dance? What physically, emotionally and spiritually energizes you? How often do you hear someone say, “I always give it 110%”? Physically, that’s impossible; we are humans, not machines and as much as we’d like to stay in the high performance zone all of the time, we need to need to recharge and re-energize, and that’s okay! High performance athletes factor recovery into their schedules and you need to too. Make a list of things that recharge you and make sure to incorporate at least one of them into your day, even if it’s only for five minutes. 5 Where’s your next yes? Feeling like you’re making progress towards achieving something is highly empowering and it may just give you the boost you need. Making small changes can have a large impact over time. What will you say “yes” to that makes you feel like you’ve made progress? Set yourself a goal, or take on a 30-day challenge. Try something different and stick with it. It doesn’t have to be monumental; incremental changes are the easiest to sustain. Take five minutes every day to sit and focus on your breathing; mindfully brush your teeth; take a photo every day for 30 days. You’ll be amazed how good accomplishing something simple will make you feel. Tammy’s talk was a great reminder that making time for ourselves when we’re facing challenges is the best way to avoid burning out and that if we’ve already reached that point, the road back to your passion is paved with patience and making time for what’s important to you.